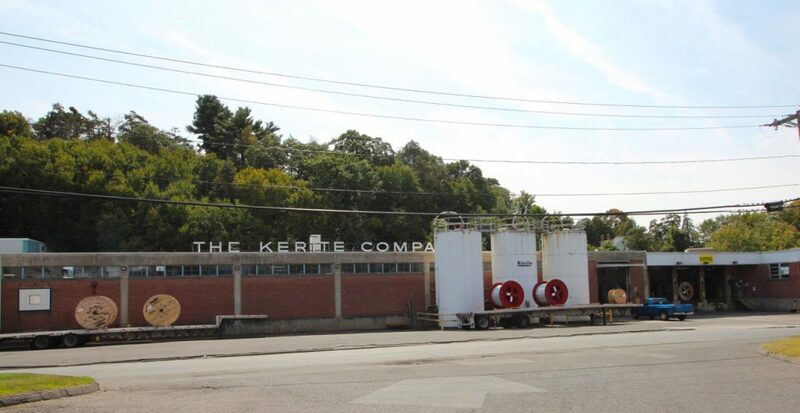 Kerite | Controlled Air Inc. 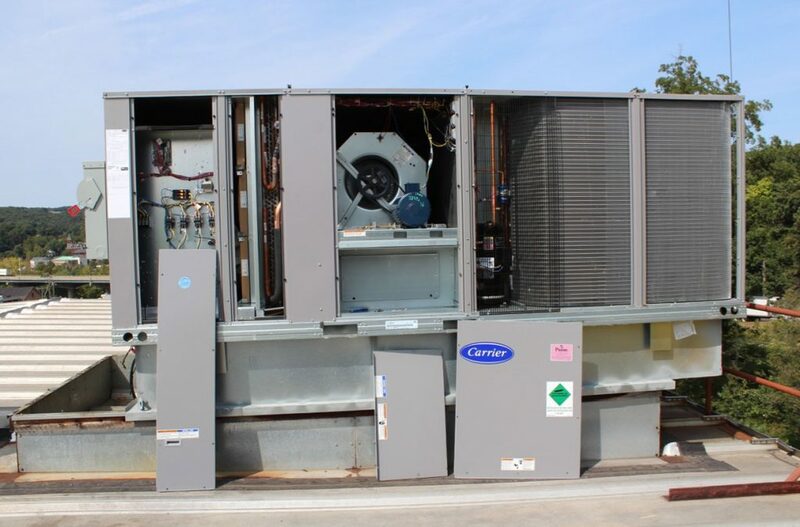 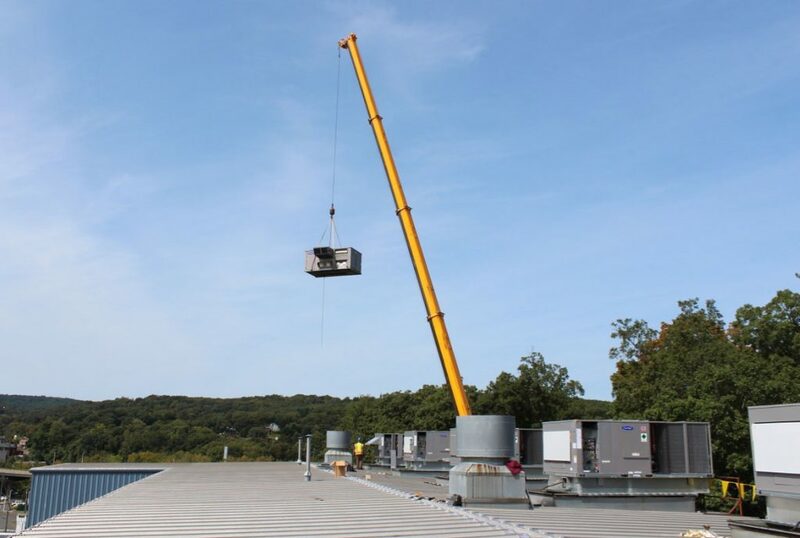 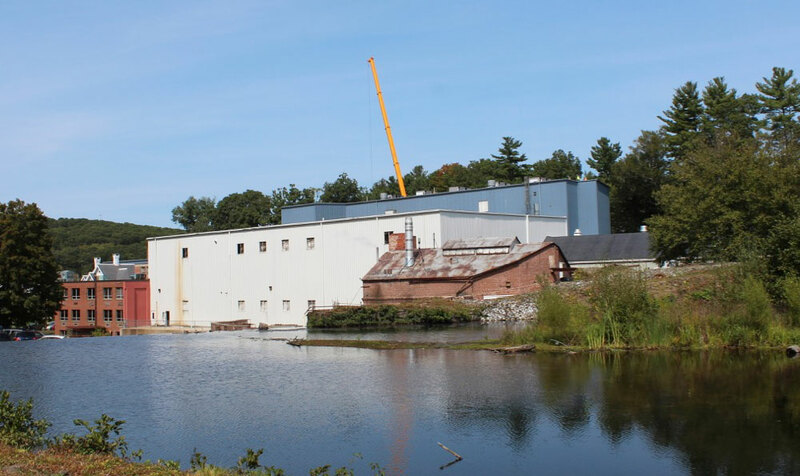 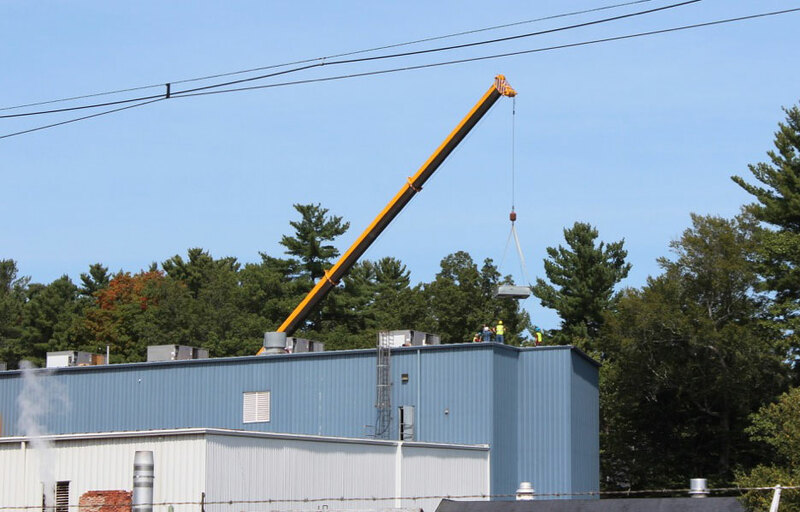 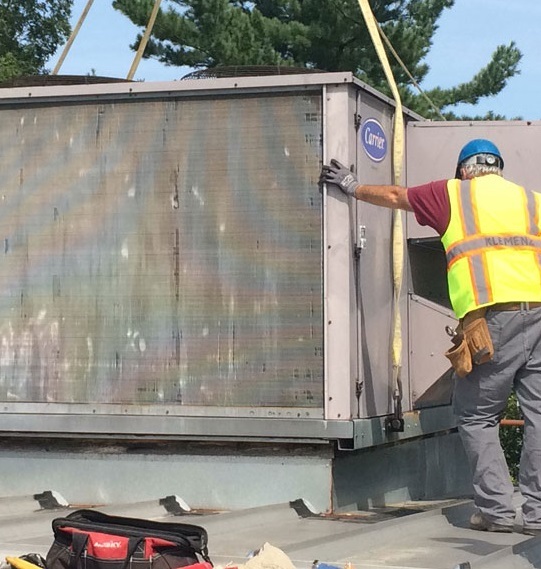 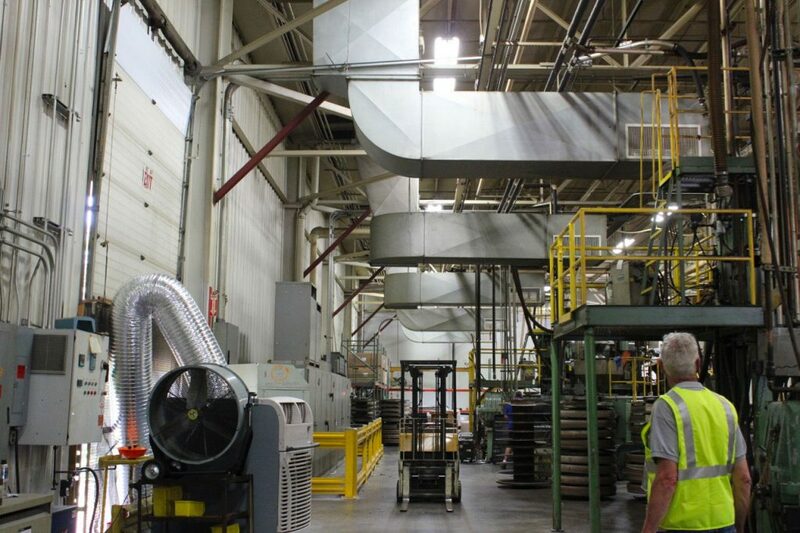 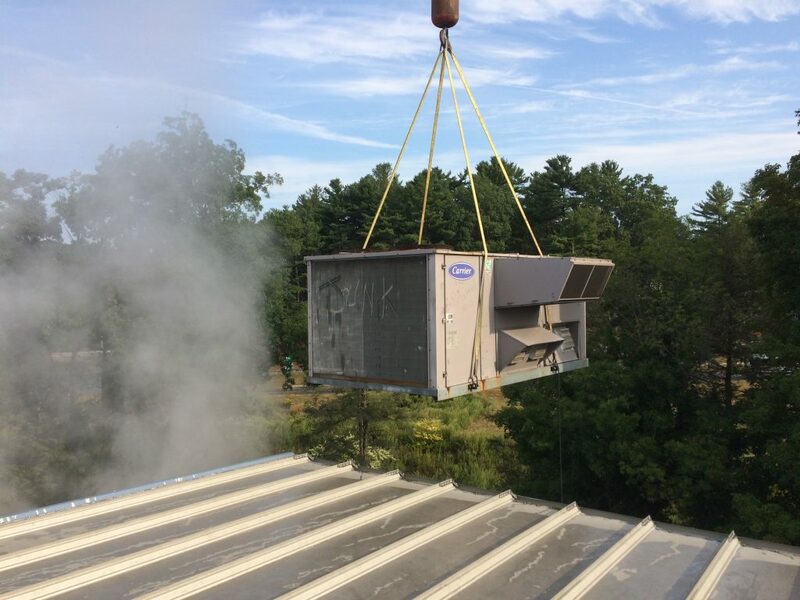 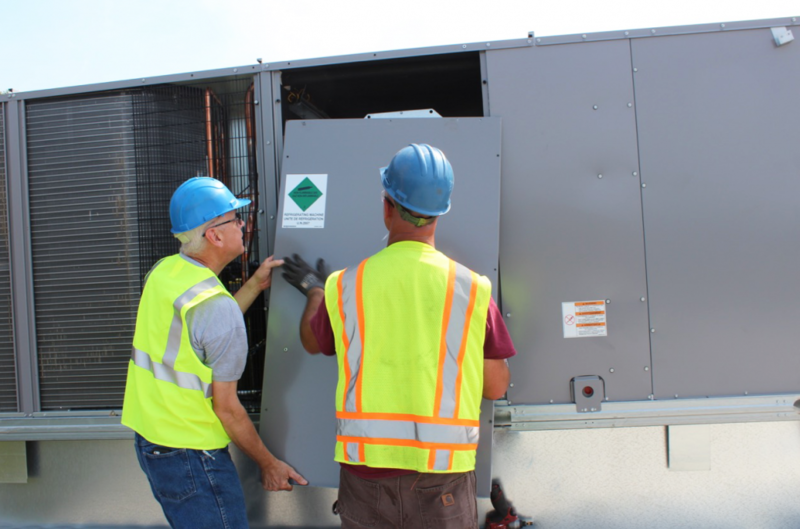 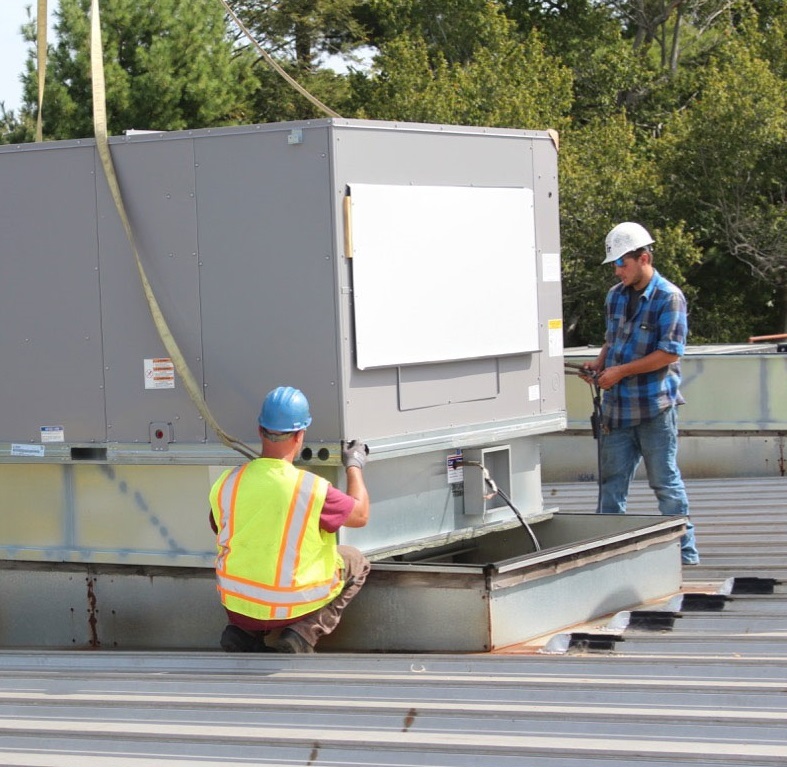 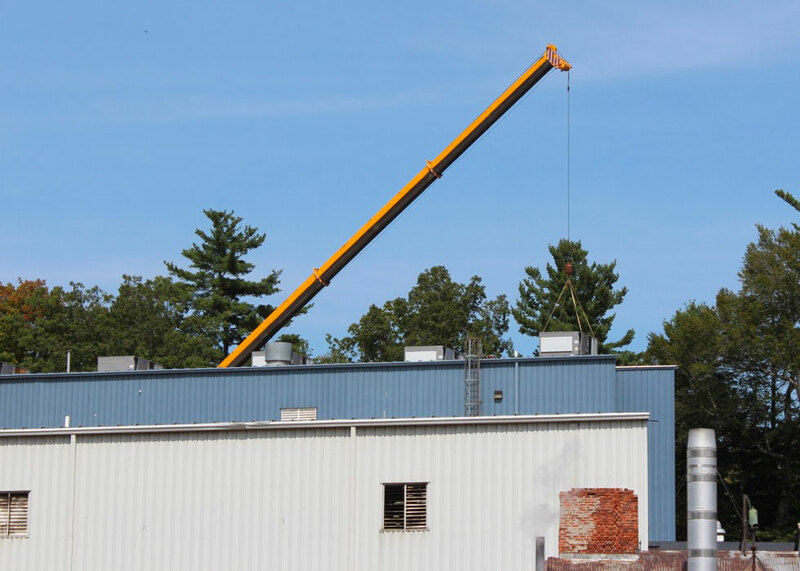 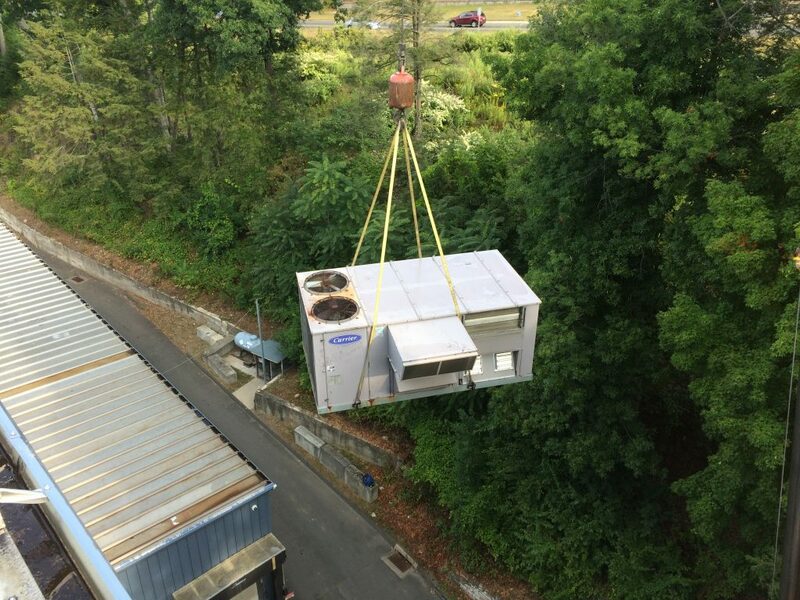 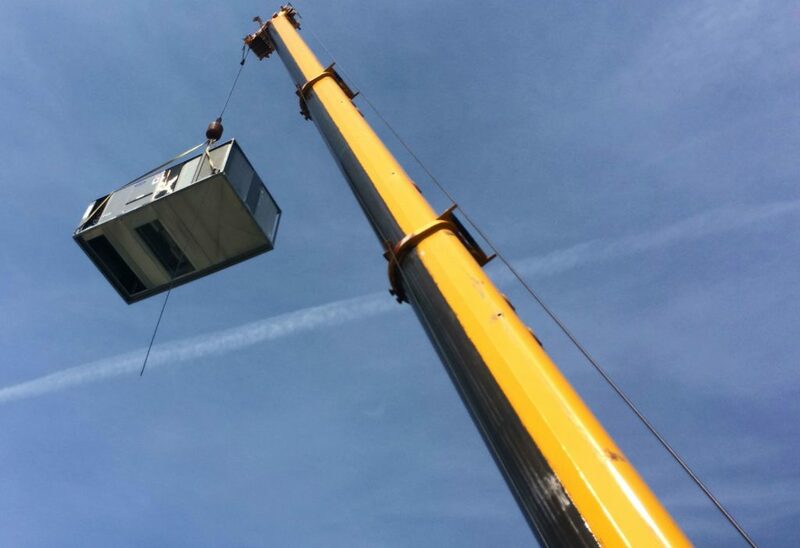 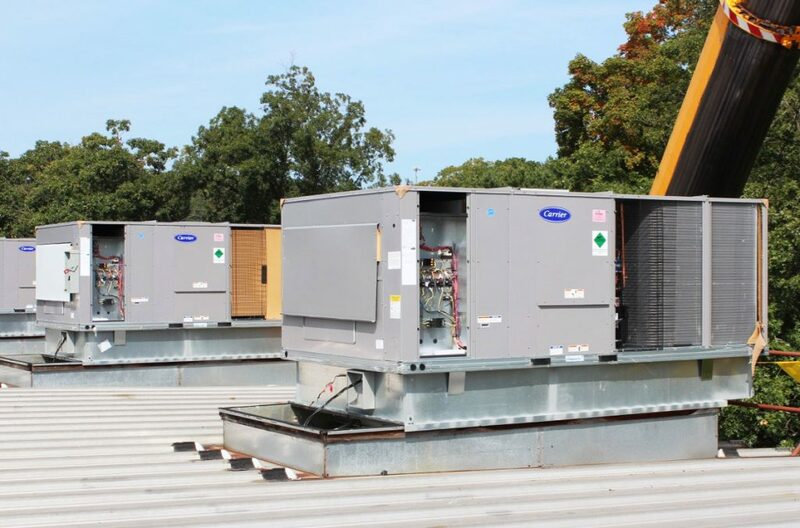 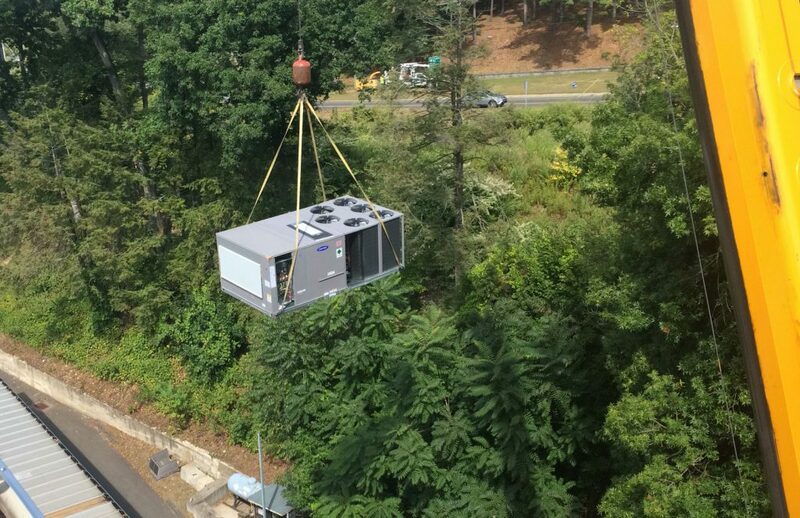 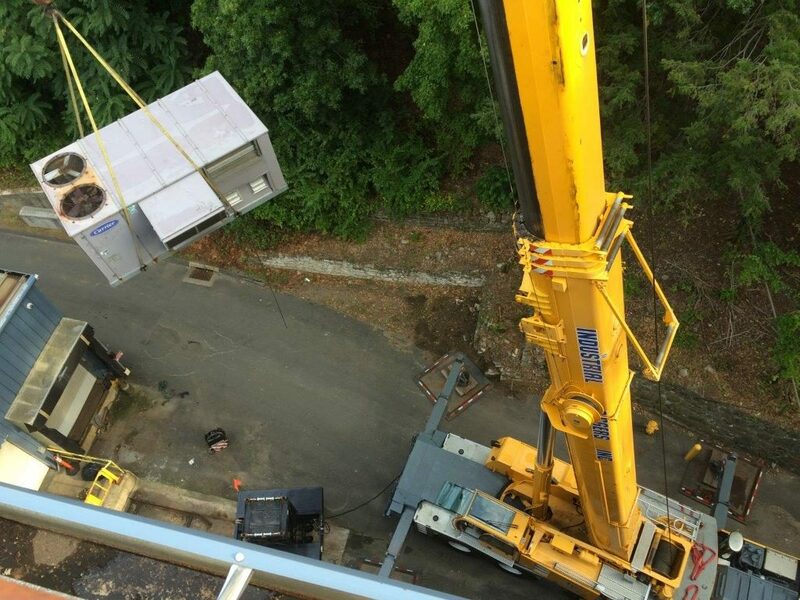 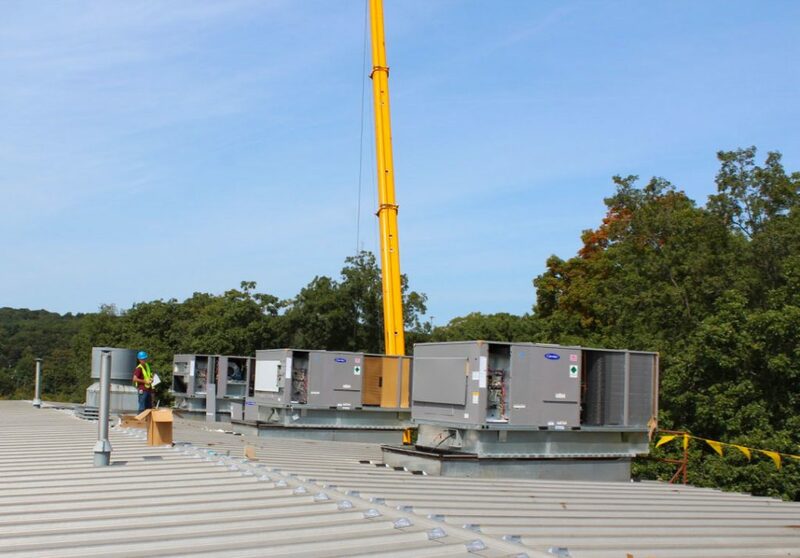 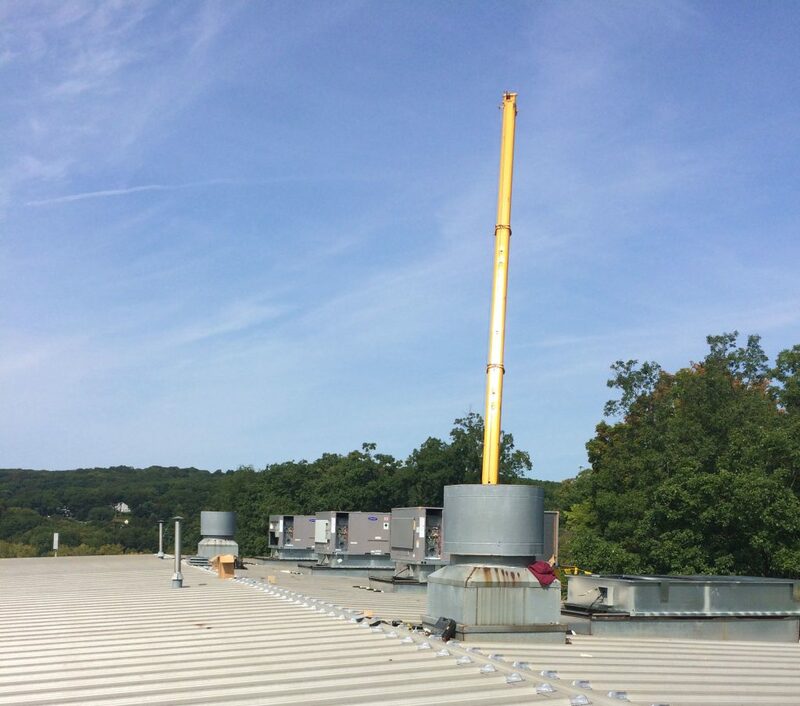 Controlled Air, Inc. removed six old 25-ton rooftop units. 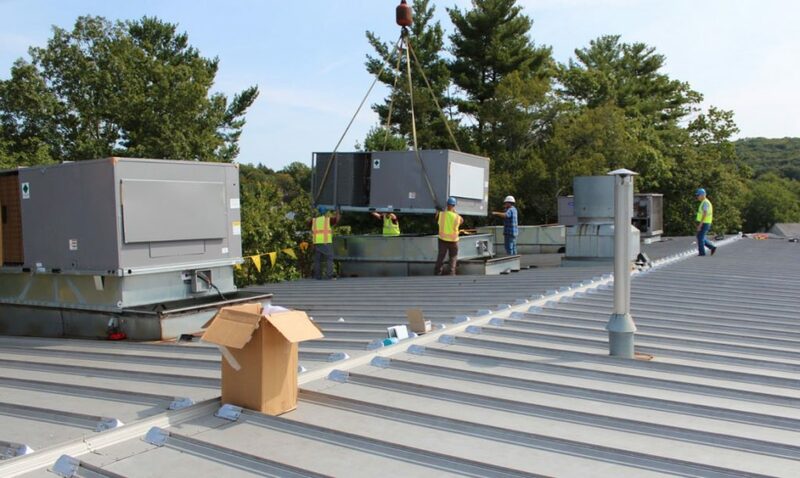 Six new, high efficiency Carrier 25-ton units which were installed, as well as smoke detectors, control wiring, and condensate drain piping. 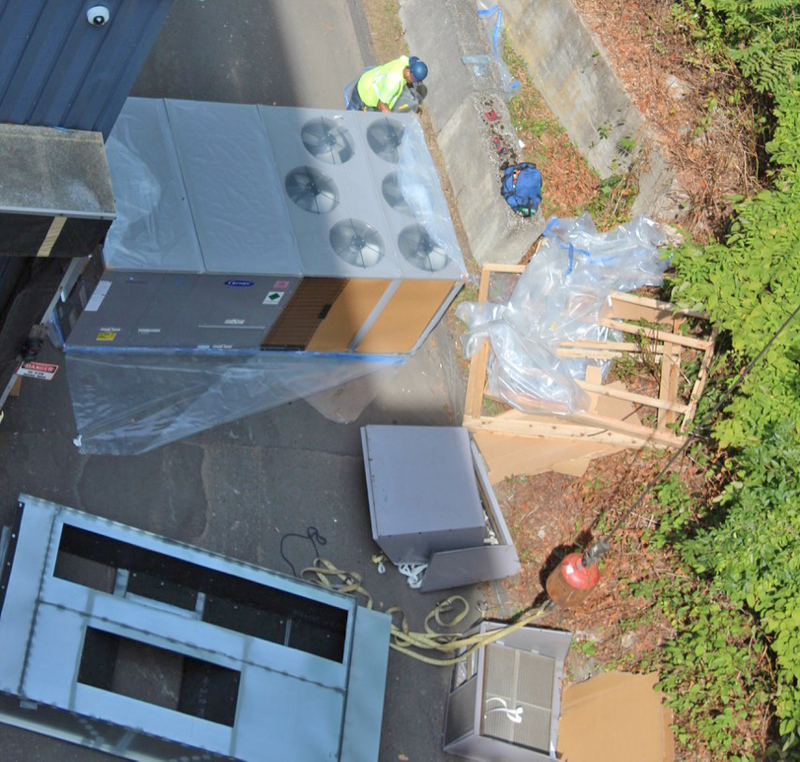 The new units fit in the locations of the old units perfectly, so no adapter curbs were required. 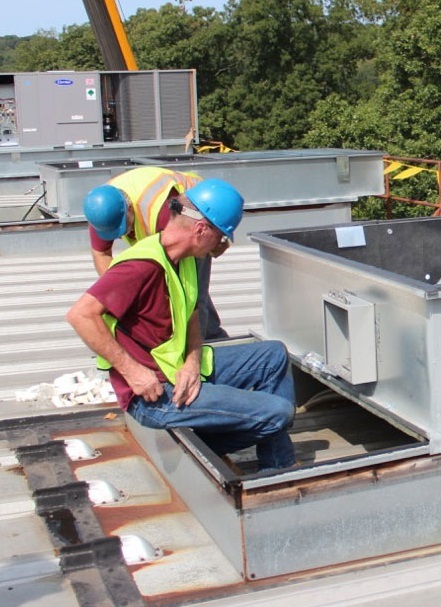 Overall a simple roof top unit replacement. 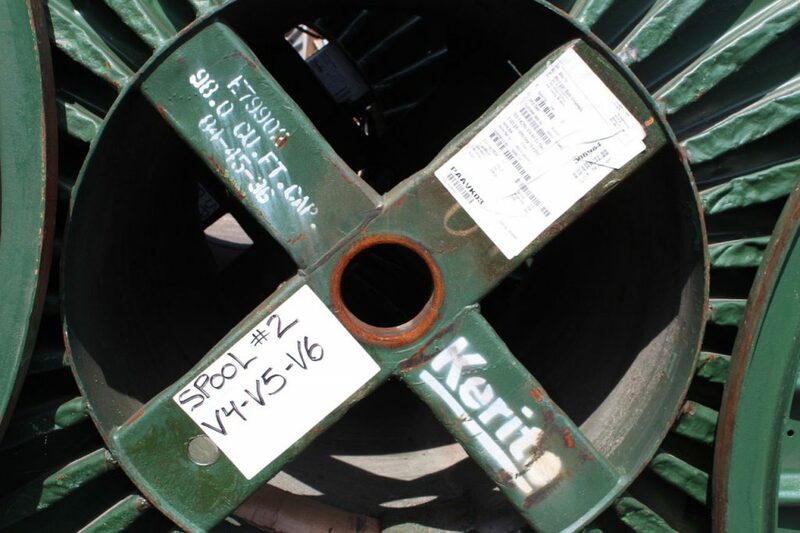 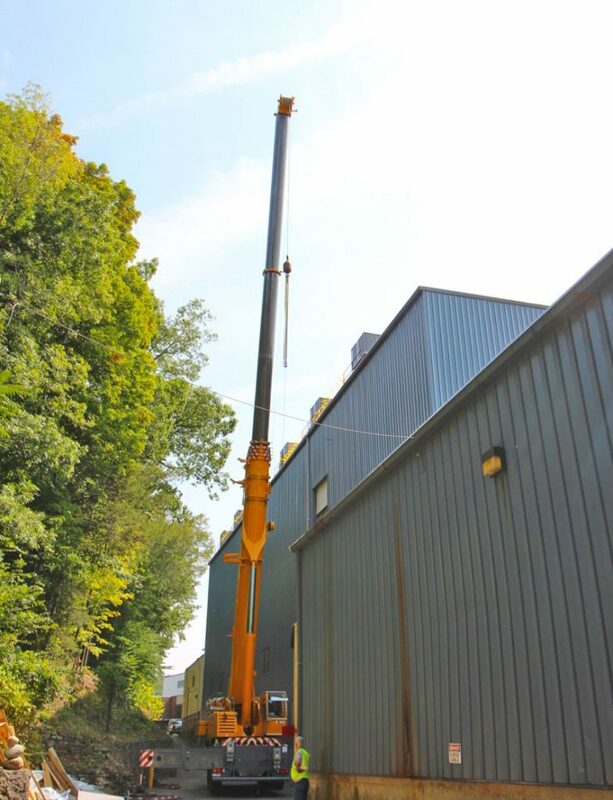 The trick in this replacement is that the crane was not able get to close to the last unit, requiring some tricky maneuvering by Industrial Rigging and extending the crane out to farthest capacity.